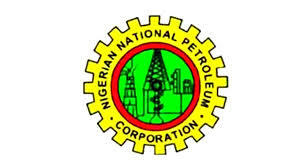 It was reported in the news that the Nigerian National Petroleum Corporation (NNPC) Retail Limited has sued the Natural Network Petroleum and Gas Company (NNPG) Limited and two others over infringement on its trademark. NNPC had in a suit joined Corporate Affairs Commission (CAC) and the Registrar of Trade Marks, Patent and Designs as second and third defendants respectively. From this action, it would seem that the NNPC is keen on taking the lead in safeguarding Intellectual Property (IP) in the Oil and Gas Industry in Nigeria. It remains to be seen whether indigenous oil and gas companies will follow suit of their own accord or await regulatory changes, making IP Asset development, research & development mandatory, thus leading to IP and Innovation development. This article attempts to highlight some key IP Issues indigenous Oil and Gas Companies may need to note. A report issued by PricewaterhouseCoopers in 1999 found that the global IP licensing market totalled more than US$100 billion, giving an idea of how economically important IP assets are today. Right now the total worldwide IP licensing market is estimated to be $250 billion annually. ExxonMobil is reported to have collected more than US $129 million in 2011 from licensing its IP to third parties, and this number is increasing every year. IBM alone generates nearly $2 billion a year from out-licensing its IP. The asset value of patents worldwide is estimated at $1 trillion. U.S. IP licensing revenues were estimated at $120 billion in 2003 and are expected to have reached $500 billion by 2010. University licensing royalties in the U.S. total nearly $1 billion annually. In 2013, the Shell Oil Company received 189 patents from the U.S. Patent and Trademark Office. Research with patent portfolio analysis tools shows that Shell was assigned 207 U.S. patents in 2014 held by Royal Shell. Shell spent $1.2 billion on R&D. The Chinese Government is fostering home-grown innovation and IP commercialisation through tax incentives. From 2006 through 2010, Chinese oil and gas companies cumulatively boosted R&D spending by 29 percent annually and upstream patenting activity by 66 percent annually. In downstream, the Chinese energy conglomerate Sinopec is amassing a large patent portfolio, at home and abroad. For our industries to thrive we need Governmental support for our local industry, government has given some support in the Nigerian Local Content Act? However technological growth and development does not happen by chance, in this writer’s opinion our local companies have a duty to take full advantage of governmental support by actively innovating and commercialising their resulting innovation and Intellectual Property. Nigerian companies may need to pay a little more attention to research, development and the resulting innovation that increases profitability which should be protected and commercialised by IP possibly Patents, Trademarks, Copyright and Trade Secrets etc. During exploration, extraction and transportation of Oil and gas, value is added to the unrefined Oil and Gas by technology, and other business practices that help process the extracts into useful and valuable consumer products. The innovation, technology and business processes (Intellectual Property Assets) involved, are often protected by IP and become valuable assets to Oil and Gas companies, when they are registered and competitors prevented from accessing and using proprietary innovation for free. Owners of such IP Assets may actively commercialise their assets by licensing them to companies willing to use these IP Assets in exchange for a license fee. The first barrel in any great oil and gas company is a good name. It should be registered as a trademark. A trademark is a symbol or a sign which differentiates the goods and services of one business from another one. A trademark provides protection to the owner of the mark by ensuring the exclusive right to use it to identify goods or services, or to authorize another to use it in return for payment of license fees. The Oil and Gas Industry is particularly susceptible to trademark issues as internal and external consumers rely on their trademarks to purchase goods and services from them. The Russian Legal Information Agency (RAPSI/rapsinews.com) reported that sometime in 2003, a court awarded Rosneft oil company $95,000 in its trademark infringement lawsuit against EKA-AZS fuel company, which operates a large chain of filling stations. The parties told the court they entered into a franchise agreement in 2005 for a term of 5 years, under which EKA-AZS paid $1,000 for the right to use Rosneft’s trademarks to sell fuel at 40 filling stations. Rosneft maintains the defendant illegally used trademarks for five months after the contract expired on September 29, 2010. Sometime in 2015 LUKOIL North America filed a lawsuit in U.S. District Court for the Eastern District of Pennsylvania against R.K. Keystone Mobile Mart Inc., Gurmeet Singh, As Airport Texaco Inc. and Swapnesh Sharma, alleging trademark infringement and trade dress infringement. According to the complaint, the defendants own and operate the former LUKOIL fuel station at 3575 Airport Road in Allentown even though the station no longer is a franchise under the LUKOIL name. Oil and Gas companies seldom attempt to suggest that they have perfectly “green credentials”. It may be more prudent to emphasise their capacity for innovation which benefits society in future and their importance in providing energy for today’s society. Please find below a table of the world’s most valuable Oil and Gas Brands, at number 8 is Petronas, a national oil company just like the NNPC. Interestingly, some Energy brands operating in Nigeria’s upstream sector are struggling to erase negative perceptions especially as it concerns environmental compliance. We have recently seen a number of IOCs divest assets onshore possibly due to a whiplash from host communities over alleged unacceptable environmental practices. All these point to the importance of IP to an Oil and Gas company’s profitability. The challenges facing our oil & gas industry ranging from the fall in crude oil prices to the perception of oil & gas companies by the local populace and the changing global energy landscape make it needful for active collaboration between all stakeholders. In addition, for our Local Oil and Gas companies to grow they may need to take their Research and Development and resulting IP like patents and trade secrets seriously, they may also wish to leverage on the advantages conferred on them by the local content policy currently being pushed by the government. It goes without saying that technological development does not happen by chance, it can be encouraged by good policies like the local content policy serving as a spring board for the inventiveness of our local companies to flourish.